Summer may be over, but the fun continues. 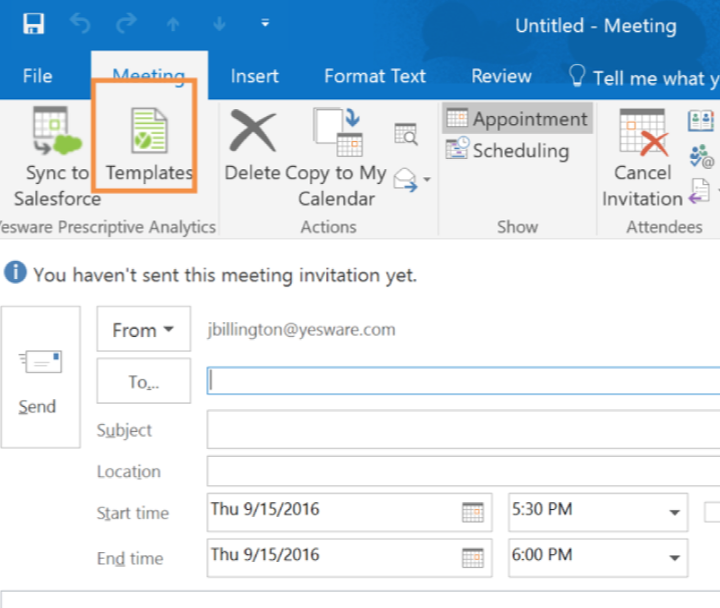 This month, we’re helping Outlook users schedule meetings faster with two new features for Pro, Team, and Enterprise. One feature helps you find calendar availability faster; the other sends detailed invites in seconds. Click ‘Insert Availability’ to pull up your calendar from your email draft. 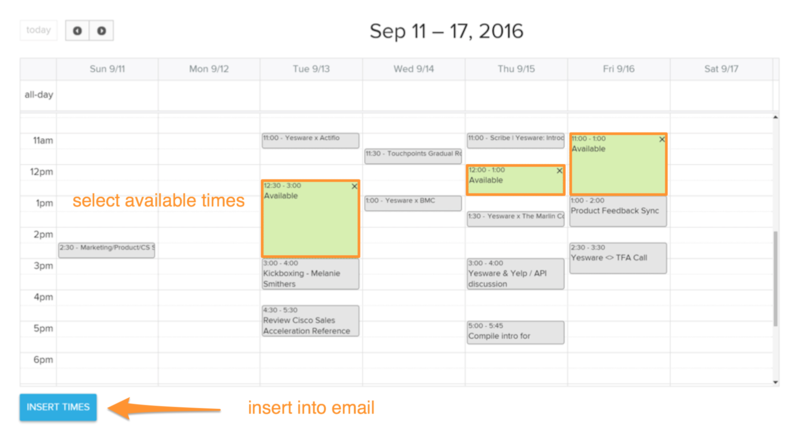 Next, select available times from your calendar and choose “Insert Times” to add to the body of your email. No more wasting time with copying and pasting meeting details. 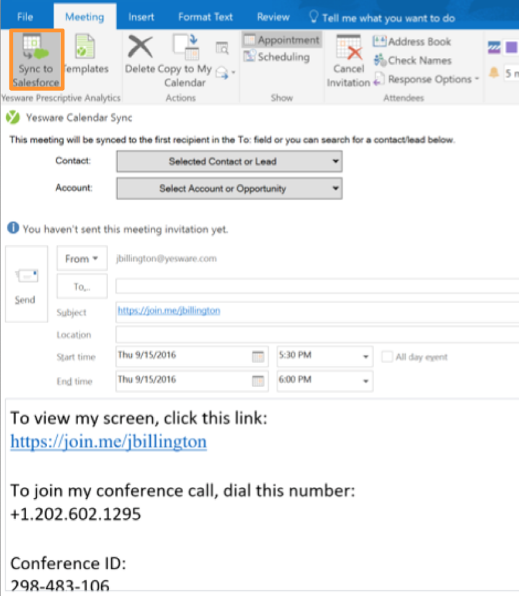 Outlook users can now create templates for dial-in/web conferencing details and meeting agendas, and insert them right into their meeting invites. From the meeting invitation window, you’ll see a new ‘Templates’ button. Click it. 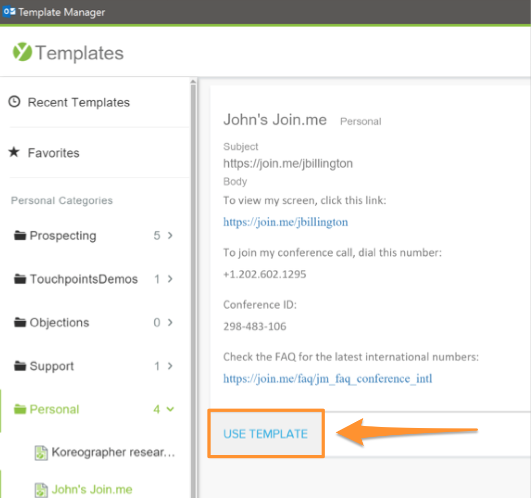 In the templates manager, create a new template. Just like with email templates, you can create placeholders (using “+ Text Field”) for things that might change each time you use the template. 4. Once your template is ready, save it under any category in your Yesware template library. Then choose ‘Use Template’. 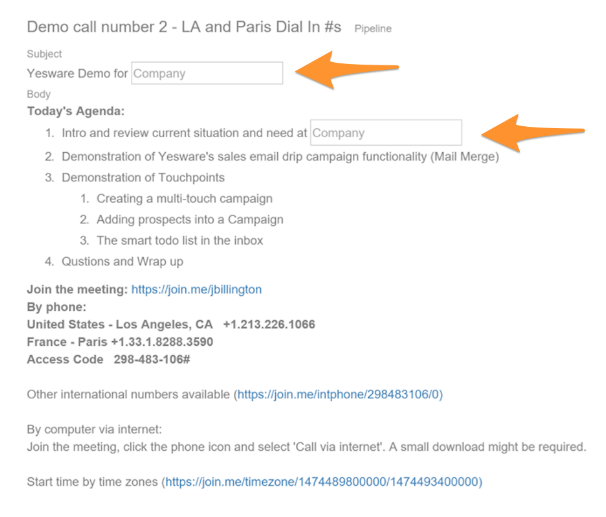 Did you know that you can also sync your meeting activity directly to Salesforce? Starting October 4th, team leaders will have access to our Activity vs. Engagement Report (below). 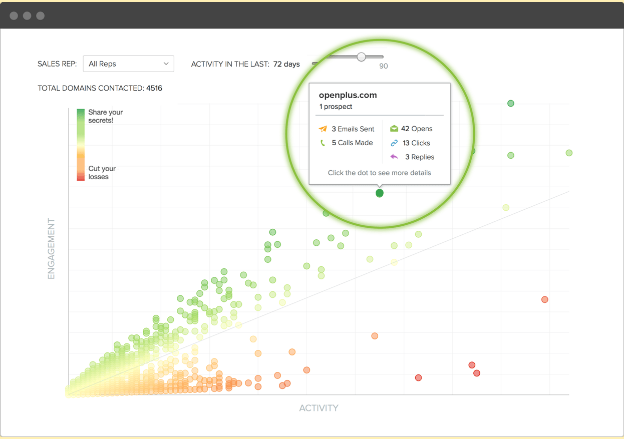 With it, you can see which accounts are highly engaging with your emails and where you should cut your losses. And you can filter the graph by number of days and by rep.
To access it, just click Yesware > My Reports from Outlook. Have any questions? Visit help.yesware.com for more information or to submit a request (top right corner).